Charlton Recruitment, created by Nicola Cookson in 2014, is a recruitment company in the heart of Liverpool, providing staffing solutions to the UK catering and hospitality industry. Nicola manages Charlton Recruitment with Andrew Cain, who joined the business in early 2015 to support the development of the business. The business has been active for over 2 years, providing staff to events and clients across the UK including Chester Racecourse, The Open Golf and most recently Leeds Festival. Charlton Recruitment have gained £35k of funding through the NPIF – BFS & MSIF Microfinance, part of the Northern Powerhouse Investment Fund. This investment was managed by Liverpool based MSIF. Although the hospitality industry has been growing steadily in recent years, it suffers from a high turnover of staff and there are significant skills shortages, leading to restricted productivity. Nicola and Andrew recently decided to expand Charlton Recruitment, and begin delivering accredited training for hospitality staff. The training is for new and existing staff on their books, and will allow staff to gain further skills and broaden their career prospects, whilst also answering the hospitality sectors call for more skilled workers. Government funding also supports the training side of the business. Charlton Recruitment offer the course to people claiming government benefits to support them back into employment. Some of the funding has been used to create a bar scene, which allows them to train people on how to pour and serve drinks, how to use the EPOS till system and how to deal with busy crowds of people. The expansion allows for more people to gain skills, gives Charlton Recruitment quality trained staff on their books, and ensures the clients have highly skilled staff, offering the best possible service, to work at their events. Charlton Recruitment also received assistance from the recently launched MSIF Finance Hub with producing their final 2 year forecasts. It was vital, in order to receive the funding they needed, for these forecasts to be realistic and accurate. 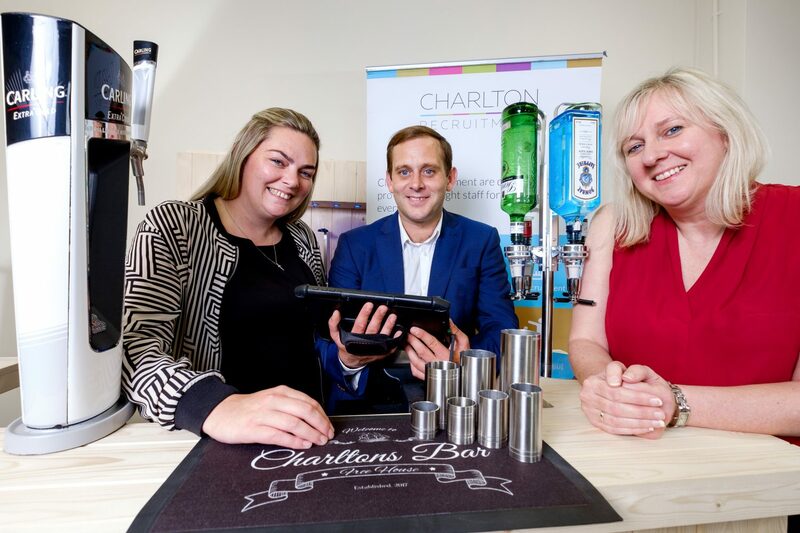 Nicola Cookson, Managing Director of Charlton Recruitment, said: “We wanted to expand into delivering hospitality training to compliment the recruitment agency we already had in place, and also to help unemployed people to get back into work. We are now able to provide people with our training courses, which leave them with a Level 2 qualification in hospitality and a route into the hospitality sector. Andrew Cain of Charlton Recruitment added: “We had some great assistance from the Finance Hub at MSIF which enabled us to secure the funding we needed to launch the training academy. Owner, Nicola Cookson, has over 16 years’ experience of managing staff within the hospitality sector. The Merseyside Special Investment Fund Limited group of funds are managed by Alliance Fund Managers Limited which is regulated by the Financial Conduct Authority in the course of investment business. Financial Conduct Authority Registration Number is 180891.